Here it is! 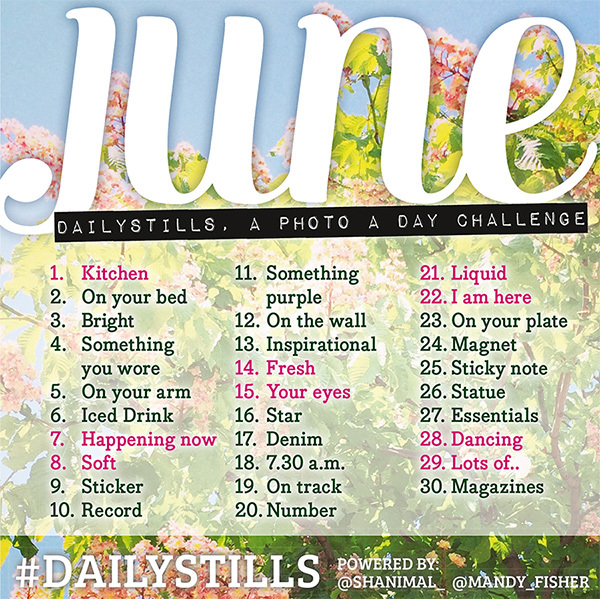 The Dailystills for June. Not sure how Dailystills works? Let me explain..
♥ Take a photo using the prompt as inspiration. So for June the prompt for day 1 is ‘kitchen’. So take a photo of a kitching, maybe an overview photo or a little detail, whatever you think of when you think of a kitchen.